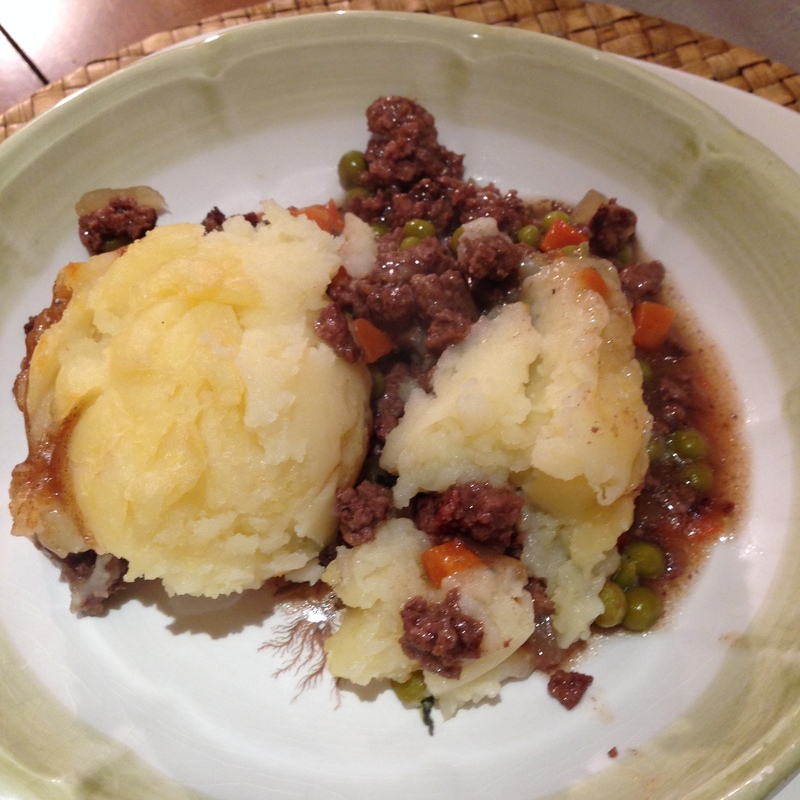 Baby Its Cold Outside Shepherd’s Pie! Boy, this one is really “Old School”! Everybody likes comfort food and in order to be really comforting it has to be simple to make. Before we built our new house, we lived in a little cabin here on the property. The kitchen was an after-thought, so making big fancy meals didn’t work. We spent a lot of time outdoors in those days as we tried to tame the jungle that was our little country property. After a long day of raking leaves, or shoveling snow we’d be exhausted but starving. This humble little supper was a favorite then and now. Peel and cube the Potatoes. Boil in a pot of salted water until very soft. Drain well and mash with 1/4 cup butter. Fry the ground beef until well browned. Add the onion and fry until it is just transparent. 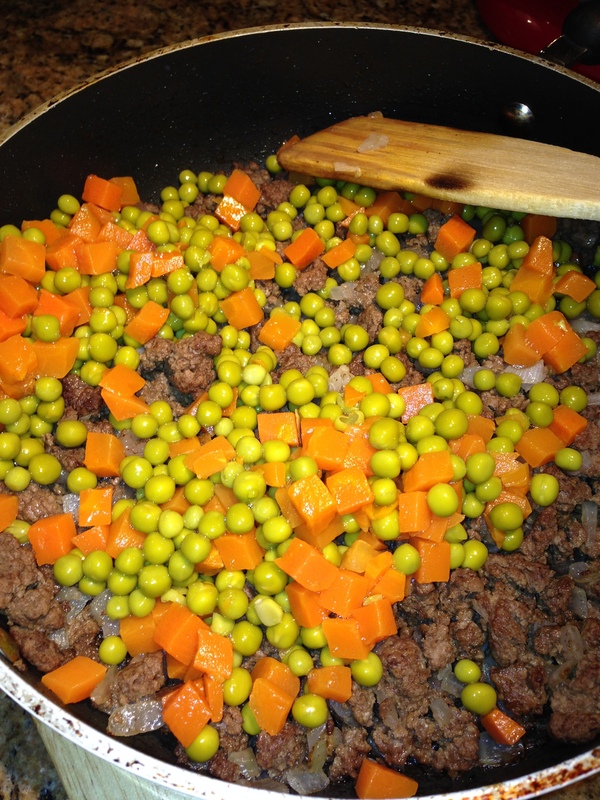 Add the peas and carrots, sprinkle the gravy mix in and add the water. (If using frozen peas and carrots you need to microwave for 3 minutes or so). 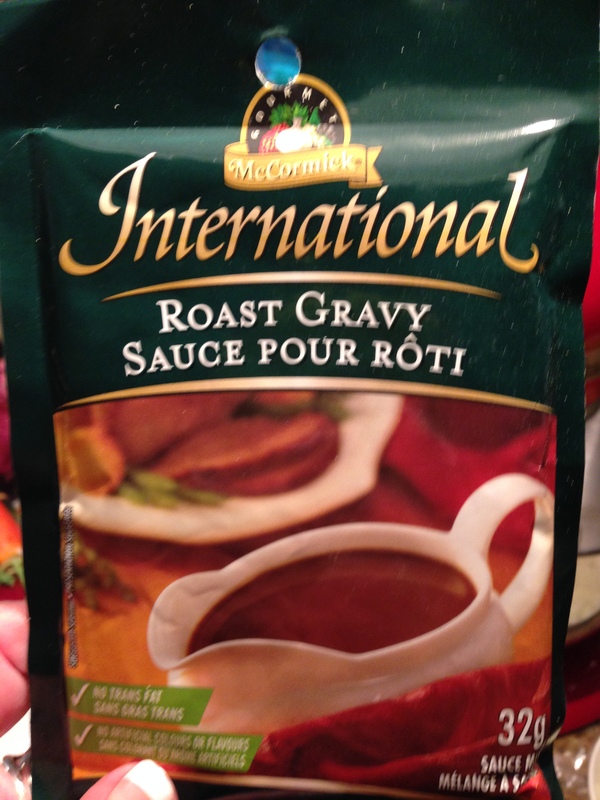 Bring the meat filling to a boil and once the gravy is thickened, place the meat into a 2 quart casserole dish. 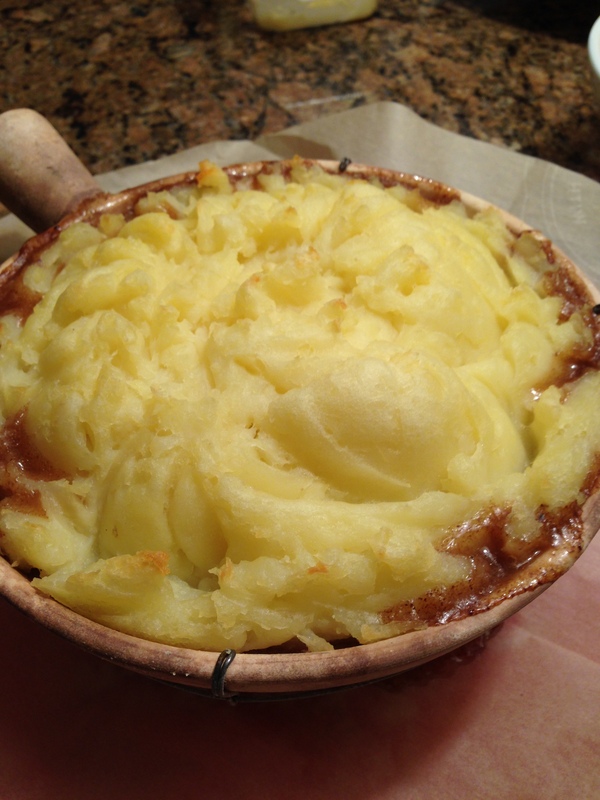 Scoop the warm mashed potatoes on top and using the open side of the spoon, make a nice pattern on top. Bake at 350F for about 30 minutes since everything is hot when assembled. The top should be lightly brown and the gravy will bubble up when its done! So after a hard day, this is your reward! What do you think? Would you stick around to eat with us?